I was in Athens reminding myself of civilization when the lewd sexual comments of Trump were released on a Friday. 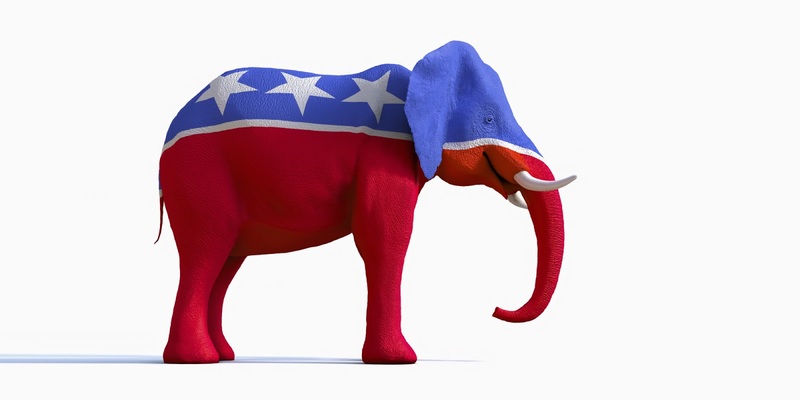 The next day a number of republicans publicly distanced themselves or unendorsed him in a spasm of self-righteousness and virtue signaling of the sort designed to mollify our corrupt media, a fool's errand suitable for said fools. The next day, Sunday a week ago today, Trump handily turned in the performance of a lifetime, easily besting Hillary Clinton across the board in the second presidential debate. This bought him exactly one day's respite. Soon after quislings like Speaker Paul Ryan, who's accomplished precisely nothing in his time in Congress save for self-promotion, airily said he would not campaign for Trump although he wasn't withdrawing his endorsement. Variations on that ridiculous theme then continued, with republicans unable to see the calculated, timed attack for what it was. Media then commenced to release claims of various and sundry women alleging they were groped or manhandled by Trump a scant thirty years ago. All were swallowed whole by politically incompetent republicans. Trump has been in the public eye for three decades yet so called conservatives, who have conserved nothing, decided it was prudent to credit these manufactured-on-cue claims as proven. None of them took the demonstrable track record of Bill Clinton to task, of course, now or in real time when they were learned of. This includes Hillary eagerly joining in to destroy the lives of the women Bill either raped or sexually assaulted. The record in this regard is well established, not subject to dispute but only deflection, something in which the Left excels. I was by turns appalled, disgusted and outraged, which I remedied by throwing myself into Athens and various day tours. I kept up but only in a macro sense, which was more than enough to remind myself I'd seen this movie, or iterations of it, every four years for the last several presidential election cycles. No matter who our candidate is, they are accused of being racist, bigoted, misogynist and generally beyond the pale of our political discourse. Now, of course, the republican establishment came after Trump with a pent-up vengeance for having shown in exquisite detail how they have been captured by their donors, doing precious little for the average voter as the Left systematically remakes the country into a third world hellhole, the better with which to have an uneducated, low skilled, dependency based populace to keep them in power. For these republicans this election is just another election; for many Americans the country as we know it and want to maintain is at stake. No wonder the stark contrast between the two in reaction to yet the latest playbook from the Left and their apparatchiks in the media. The Wikileaks revelations contained in John Podesta's emails, and others, leave no doubt that American media are democrats with a byline and then some. Time and again they are seen as coordinating with the Hillary campaign or the DNC, advancing the agenda that best serves them and burying completely any notion of even handedness or fairness. They eagerly peddle lies again and again. They should all be shot on Fifth Avenue. Naturally, republicans didn't pivot to these revelations in order to bring them to a wider audience and turn the narrative table, which is what democrats do. Media, so comprehensively indicted and exposed, made sure not to cover them in anything amounting to substance. Why would they? But these are the audience those republicans were playing to. Apparently they can't hear the laughter of those with whom they seek to ingratiate themselves. Distressingly to those sorts, Trump fought back and fought back hard. What's this? A republican presidential republican nominee not going along with his own high tech lynching? This was wholly new and unheard of and, if it's possible, it earned Trump even more enmity from the republican party elites who no longer pretended they care if the most corrupt person ever to run was elected president. In an astonishing cycle, this was perhaps the most astonishing development: willingly abandoning their nominee in order to keep the Senate & House majorities in order to live another political day. Does anyone think the Senate will reject a single Supreme Court nominee offered up by Lady Macbeth? The president won so she gets her nominees, they reason. Such reason is never engaged in by democrats when the situation is reversed. Republicans never learn: to be successful, behave like democrats. Oh, this isn't elevated, is it? Their tactics are base & dirty so we should adopt them? Yes, because for Christ's sake they are effective, winning. Republicans pretend to virtue while the country is remade under their feet. No wonder the base deservedly loathes them. In Minnesota many republicans followed suit in the national republican betrayal of their base, only worse. Lead among them was former Governor Tim Pawlenty who lately, like a dog to its puke, has been appearing at this or that fundraiser or campaign event. After leaving office, Pawlenty decamped to Manhattan to be employed by the Business Roundtable for a million and half dollars salary, including a midtown penthouse in which to live. You don't see that at Sam's Club. Pawlenty said Trump was "unsound, uninformed, unhinged, and unfit," apparently pleased at alliteration. He piled on himself, adding Trump "is unwilling or unable to demonstrate even the most basic level of discipline, character and judgment" to be president. Did Brian McClung just learn of alliteration? Because Pawlenty's public statement was filled with it. Likewise Rep. Erik Paulsen, whose bona fides include being against human trafficking (that's brave) and seeking to eliminate the Obamacare tax on medical devices (doing his donors bidding, a sin he shares with most every member of Congress), was not to be outdone. He stated flatly, for the first time, he would not be voting for Trump. In this he helps elect Hillary Clinton. As if to admit as much, he mewed that Congress would stand as a bulwark against her presidency despite the fact that the republican Congress as currently constituted manifestly has not done so during the Obama regime. He then pledged to "work across the aisle." In those four words it may be said Trump arose this cycle. When was the last time you heard a democrat make such a statement? You haven't because they don't want to and democrats at least have the integrity not to insult their base by saying so. Working across the aisle, in reality, means republicans not having the spine to stand up to the progressive agenda. Quelle surprise, the progressive agenda advances. All this from a man who took a fully funded $27,000 all expenses paid trip to Kenya with his daughter. He also previously had pledged to vote for TPP in a lame duck session of Congress. Spare me such republicans. That said, I want Paulsen to win and I think he will. See how easy this is? Speaker of the Minnesota House Kurt Daudt also saw fit to chime in. Daudt had made Hamlet look decisive in addressing the Trump campaign previously, but now apparently Ben Golnik ordered him to remove the picket fence from his derrière he himself had placed there. Daudt went on to call for Trump to withdraw, something no democrat would ever do under any circumstance and fatuously added that republicans should vote in down ballot elections because "there are many races that will determine the direction of Minnesota and our country in the years to come." This is laughable. Those republicans have done nothing to stop Obama and his agenda. Indeed, a republican Congress has fully funded Obamacare while decrying it, done nothing to stop the waves of illegal immigration or unvetted refugees, fully funded Planned Parenthood and have generally acquiesced in the manifest ills that now plague us. On a state level, even with a republican legislature in 2012, we were supposed to be content with the "third smallest increase" in government spending. As one legislator told me, Daudt threw rural members under the bus to save a few, dicey, metro seats. "We have met the enemy" and all that. Michael Brodkorb, now writing at MinnPost about once a week, wrote an article profiling two well known political activists, one a democrat, Steve Timmer, the other a republican, Jeff Johnson, my party's nominee for governor in 2014. I know Timmer a bit through social media and have always been struck by his acumen and sagacity. As a conservative though (I no longer identify as a republican even though that's how I vote), I was most interested in Johnson's comments. Brodkorb writes: "And while he has concerns with Trump's personality and character, Johnson believes change is desperately needed in Washington, and that Trump can be a more credible agent for change than Clinton. “Trump will disrupt the status quo,” said Johnson. “I think a lot of people are looking for sweeping change in how government operates; only Trump will bring that.'" That's exactly right and it's to Johnson's credit that he not only gets it, but says so. Brodkorb's piece is dated October 6th so perhaps I've missed Johnson walking away from those remarks. In any event, you can read Brodkorb's article by clicking here. In similar fashion, Cyndi Brucato, also writing at MinnPost, had a piece about Minnesota republicans sticking with Trump. Coming back from abroad, it was a tonic for the troops, to quote a Boomtown Rats album title. She interviewed Brian LeClair and Janet Beihoffer, each of whom rightly objected to the eleven year old hot mic comments of Trump's but focused on what's at stake in this election. Beihoffer emphasized Supreme Court nominees a Hillary presidency would bring. LeClair said "There are also those of us who think Mr. Trump can be an incredible force of change. It’s not just the lesser of two evils." Quite right. Pressed by Brucato, no Trump supporter she, as to those republicans who had opportunistically jumped ship, Beihoffer said "I think they spoke too quickly because there is so much more at stake and we can’t afford Hillary." Quite right again. LeClair responded "[Trump] spoke to the issues on the minds of rank and file voters. If that cycle is going to repeat itself in the general election, I’m very comfortable." Yes. Brucato's article can be read by clicking here. Two Minnesota republicans have distinguished themselves, in my opinion. The first is Rep. Tom Emmer, who I've praised before in his steadfast support of Trump and accomplished ability to message in Minnesota. Emmer sets the standard to which lesser Minnesota republican officials and operatives should aspire. "U.S. Rep. Tom Emmer of the 6th Congressional District, who was among the first Minnesota officials to throw his weight behind Trump, said the comments were “indefensible” and sought to refocus the debate." Stassen-Berger's article in full can be read by clicking here. Pete Hegseth is the other Minnesota republican who has risen to the occasion of this most remarkable election. He ran for the republican Senate endorsement in 2012 and lost in a cycle dominated by Ron Paul supporters in Minnesota. He's since then become a FOX News contributor with an emphasis on veteran affairs and military matters. I can't pretend to know him well although I was just on the outside of his inner circle when he ran for Senate and offered advice whenever asked from time to time. I supported him, clearly. That year was not his year, republicans nominating Kurt Bills to run against Senator For Life & National Nanny Amy Klobuchar with predictable results. Since then I've sensed a change in his approach to politics, increasingly supportive of Trump because Hegseth recognizes the stakes in this election. That's something many other Minnesota republicans have been unable or unwilling to do, instead taking refuge in the desire for conventional politics to return where every staffer and activist knows their place and career advancement comes from not thinking for themselves but parroting whatever lines the boss or donors instruct. That this is how we got here in the first place seems to escape them entirely. Recently Hegseth delivered the most concise, persuasive argument for republicans and conservatives to support Trump that I have seen. In a mere one minute and four seconds Hegseth shreds the false comfort of those "on the sidelines" and indicts republicans for running away from their nominee when everything is in the balance. That Hegseth is said to harbor future political ambitions only makes his declaration all the more courageous and bold, something foreign to Minnesota republicans whose default position is to pass themselves off as Democrat-lite with predictable outcomes and, increasingly, the promise of a one party state. Hegseth's sterling comments can be viewed by clicking here. Republicans can either learn what it takes to win this year or become used to never winning another presidential race for the foreseeable future. Trump exists because republicans and their smothering, parasitic consultants have divorced them from the people they pretend to represent. In fact, republican elites have far more in common with democrat elites, to the detriment of the nation's citizenry, as Mark Steyn has pointed out repeatedly. Captured by their donors, I believe, is the phrase. In one sense it's not surprising that Minnesota republicans are the least able to understand what's going on in this race given that they've not won a statewide one in a decade. Door knocking won't cut it when you have no message the voters will buy. The elections of 2018 hold no promise that this will change and they seem oddly okay with that. 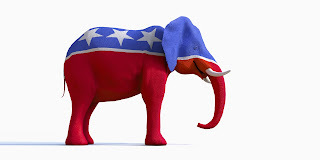 Their voters, however, are not and in this the abject failure of Minnesota republicans sadly mirrors that of their national counterparts, with lasting and grievous consequences.